Time to get your motors running!! Bring out your BOV (bugout vehicle) to the Southern Alberta's 1st Annual Bring Out Your BOV Show & Shine. 05 July 2014, from Noon to 1600 in Langdon, AB. Just show up at the parking lot to the I.O.O.F. Hall in Langdon, and be setup for judging by 1500. Prizes will be awarded at 1545. There will be one copy of The G.O.O.D. 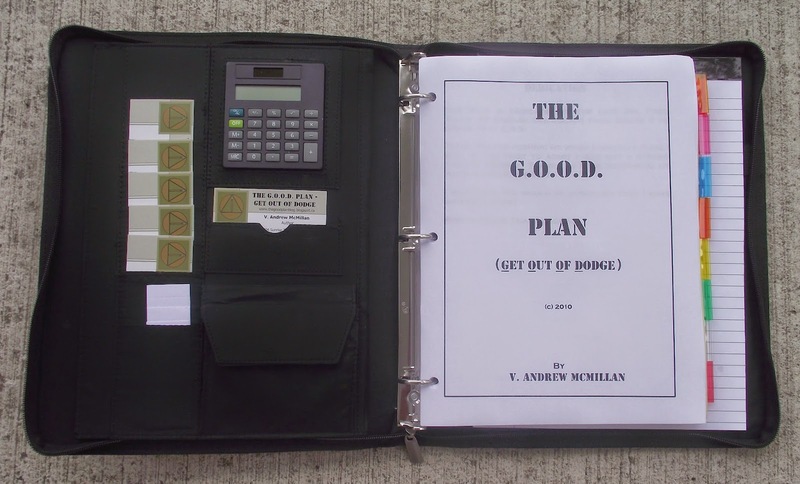 Plan - Get Out Of Dodge (Deluxe Binder Edition) as well as a couple Field Manual Editions, to be won. The photo below is the Deluxe Binder Edition up for grabs at the BOV Show & Shine. Do not miss your opportunity to be there. The Deluxe Binder Edition Up For Grabs!!! So, you can say you were there...be there!! Some of those onsite will also have their bugout camp setup beside their BOV. See The GOOD Plan Blog for the pics.